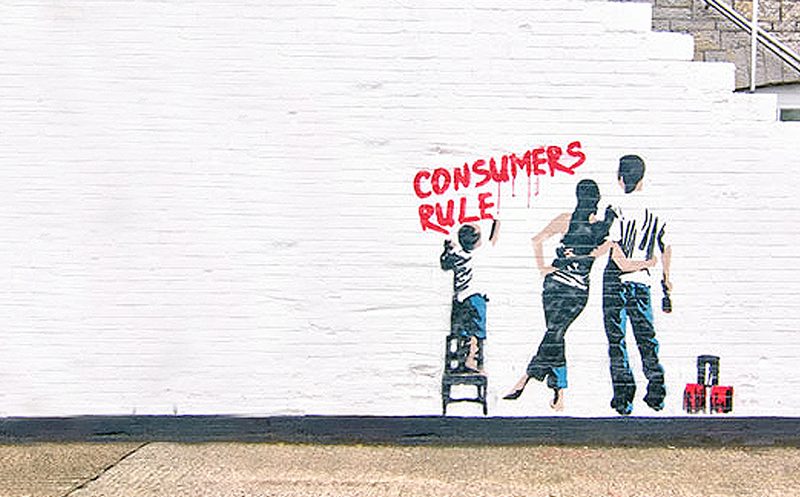 Today’s consumer is more empowered to ignore ads than ever before. So why don’t marketers give more respect to those whose time and attention they seek? In the earliest days of advertising there were only a few media channels to utilize for advertising and less competition for inventory, thus getting consumer attention was a much simpler task. Early TV, radio and print media enabled advertisers to be relevant, entertaining, informational and integrated into the media well enough to effectively communicate the brand story as not to feel intrusive. Everything was shiny and new. Everybody received value out of the brand-consumer relationship, everybody was happy. Starting in the 1950’s, new technology such as the transistor, color TV, and high quality printing gave advertisers more ways to take their storytelling to a whole new level. These ‘enabling technologies’ were game-changers for advertisers. They now had even more effective ways to creatively access the eyes and ears of consumers to try and capture their attention. But what about the consumer? The consumer was expected to stay put and play the role they were given. Marketers decided entertaining creative, educational content and enriching their lives through the promoted products and services would be enough value – just as it was for years before. As advertising evolved it became a very strategic tool in not only getting a new customer to try your product/service initially, but it also enabled the concept of building brand affinity (and over time – loyalty), which essentially translates into establishing and increasing lifetime consumer value. The consumer purchase, albeit the end goal, became just one objective for brands (and their agencies). How to creatively and consistently win a consumer’s time and attention quickly became a key focus for marketers. Mindshare was now as important (if not more important) as wallet share. This marked the beginning of the Golden Age of marketing and, in hindsight, it also marked the beginning of the end of the Golden Rule in marketing. An enabling technology is defined as equipment and/or methodology that, alone or in combination with associated technologies, provides the means to generate giant leaps in performance and capabilities of the user. There are many examples in the past of technologies that have enabled the consumer (user) that not only enriched their life, but also resulted in a major industrial rift or even created new markets that never existed before. Combustion engines, electric motors, flight, bank ATMs, and personal computers are all examples of historically impactful enabling technologies. From a communications perspective, the internet has made the biggest global impact since the printing press was invented in the mid 1400’s. Couple that with the ability to access it from essentially anywhere at anytime on a smartphone, smart TV, or other device and today you now have (by far) the most empowered consumers in history. These latest technologies spawned new, global media channels overnight. TV, print and radio advertisers are now having to compete for consumers’ time and attention against silly cat videos, social media drama and easy access to rich (and interactive) content. 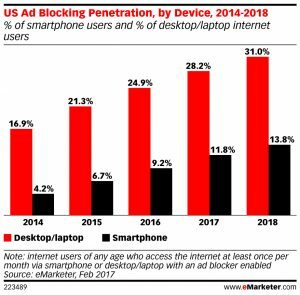 These new technologies and channels began bombarding consumers with messaging, and consumers have become frustrated with irrelevant, disruptive and annoying ads everywhere they turn. As consumers increasingly spend more of their time utilizing internet and mobile devices, they are, in turn, generating massive amounts of behavioral data across a multitude of platforms and formats. Also, they now have access to an exponentially-growing supply of content on any internet-enabled device from anywhere at any time. And, in light of the recent privacy data news with Facebook and others, people are becoming aware of the importance and value of protecting (and sharing) their personal behavioral data. The bottom line is, the industry fell head-over-heels in love with tech. So much so, we completely lost sight of the most important reason our industry even exists…to bring value to both brands and consumers alike. “I love advertising”, said no consumer, ever. Well, very few at least. The truth of the matter is, people don’t like to be sold to. That’s why creative, helpful, engaging, marketing has been proven successful (or at least tolerable) in getting consumers’ attention. Technological innovation is a faucet that will never turn off. As warriors in the advertising ‘arena’, we now have two choices. 1) Self-reflect, learn from the (real) data, and take a risk and seek out the solution(s) that makes sense. Or 2) choose to continue to think you are smarter than the one holding the cards – the consumer. “Audiences hold all the value to content publishers online. They are the magnets that attract advertising revenue, which makes content creation possible. And most importantly, audiences purchase the products and services online that make advertisers profitable. Everyone is financially benefiting from audiences, except the audience. Today’s advertisers need to not only respect the time and attention of the technologically-enabled consumer, but also come to terms that they are in control. Today’s consumer is not only choosing to not see ads, they are paying not to see them. So much so that entire new micro-markets (ad blockers) have sprung up seemingly overnight. The explosive growth of Netflix proved that even the stalwart of media ad channels, television, was not adapting quick enough to the wants/needs of the empowered consumer. A new ‘trust economy’ has emerged. It was enabled by technology and embraced by consumers (and ‘sole proprietors’). No more than 5 years ago, hopping into a stranger’s car was called ‘hitchhiking’ (and a little sketchy). Now, because of the trust created via technology platforms we have no issue grabbing a Lyft or Uber to get us home safely after a night out with friends. Same goes for renting (or leasing) AirBnB or choosing your bid (or selling) on eBay. Technology empowered the consumer with the ability to make a choice to engage in a transparent, mutually-beneficial transaction…which, ultimately, cultivated trust. And, over time…loyalty. And that’s something every brands seeks. Time to listen, learn and take a leap. Henry Ford once said, “Failure is only the opportunity to begin again more intelligently.” It isn’t eternal ‘gloom and doom’ for advertising, but it is time to accept our failures, learn from them, and then move forward. There are visionaries out there, putting together new technology marketing solutions aimed to provide value across the entire ecosystem…including the consumer. One is Merculet, which uses blockchain technology to transform the way merchants, advertisers, producers, and consumers interact and benefit from their own collaboration. The Brave browser is also leveraging blockchain as way to give users a safer, faster and better browsing experience – while growing support for content creators through a new attention-based ecosystem of rewards. Innovative companies like Dabbl and AdWallet are taking a much more collaborative approach to the brand-consumer ecosystem by creating new, innovative marketplaces and tools that includes the consumer as an equal partner in the distribution chain. These solutions enable the audience to interact with brands (ads) whenever or wherever they choose via mutually-beneficial, entertaining ‘ad experiences’, which proved actual monetary value for their time, attention and data. Understanding the wants and needs of consumers must drive business strategy and innovation. Specifically in regards to advertising, we need to stop interrupting and annoying our audiences. We are all consumers first, marketers second so it shouldn’t be much of a leap to see where the changes need to happen, starting with treating others they way you would like to be treated. We need to stop treating vanity metrics as reliable data to make business decisions. We need to commit to delivering more permissive, engaging advertising experiences that not only entertain and inform, but also help the most valuable participant in the marketing ecosystem – the consumer.